Why is it important to consider your cats when adding a new family member? It is easy to forget just how stressful this transition can be on our pets. A common misconception about cats is that they are anti-social, aloof, and able to take care of themselves – they are just sort of ‘there’. While this is partly true, cats are very self-sufficient little creatures, and they do have some interesting quirks. I would place my bets that 95% of cats suffer from neophobia. Wikipedia defines neophobia as “the fear of anything new, especially a persistent and abnormal fear. In its milder form, it can manifest as the unwillingness to try new things or break from routine”. I have never heard a more accurate description of cats! But cats are also extremely stoic and subtle in their behaviour, so this trait often goes under-appreciated. We started preparing early, and I think we did a pretty good job as the three of them came to tolerate and get along great with our new little person. The transition for everyone happens months before the baby is due. New items with strange smells are constantly being brought into the home: cribs, car seats, change tables, clothing, paint for the baby’s room, etc. 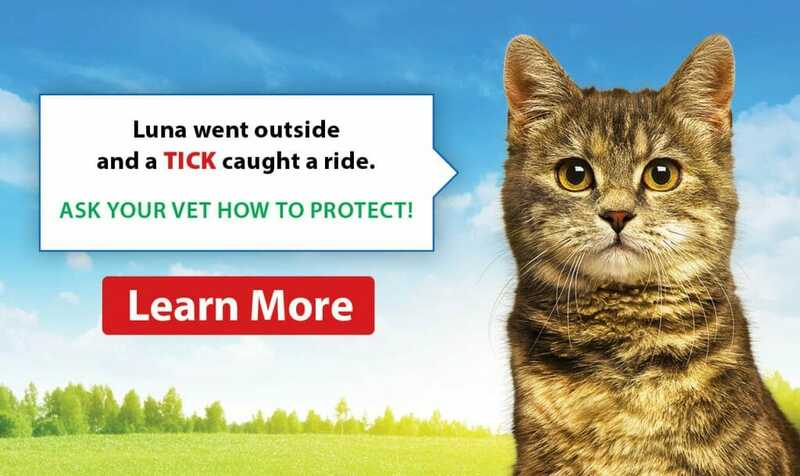 The nervous excitement emanates from mom and dad, and your cats pick up on this energy. They know something is up! My strategy was to let our cats explore these new items as opposed to locking them a room that they were punished for entering. The fear/neophobia they were experiencing could be overcome long before the baby showed up. And the novelty of sleeping on and ‘stinking up’ all of these interesting new items would wear off by the time it was the baby’s turn to use them. Now, cats won’t have much choice as far as adjusting to the new routine a baby will force on them – so how do we make this transition as gentle as possible? 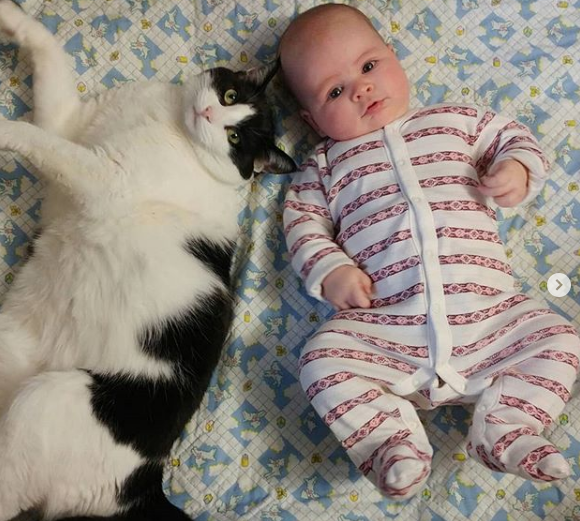 Regardless of how well the cats react to the new items in the home, a baby is another story. It takes all the attention away, it smells funny, and it’s really loud! The number one thing I did for my cats while adjusting to this new little creature was respecting and providing for all of their environmental needs. 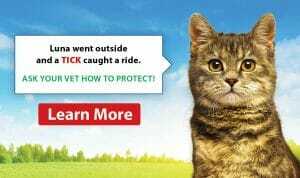 The American Association of Feline Practitioners and catfriendly.com have a great handout that summarizes the five key points called What Your Cat Needs to Feel Secure. Even if you are not adding a family member to your home, I firmly believe that meeting these key points is the absolute best prevention and treatment for nearly all behavioural problems. While it is always essential to provide a safe place away from pets for the baby to sleep, ensuring a safe place for the cats to retreat and have their own space away from the baby is often overlooked. For us, we turned our office into a cat room – with a Feliway Diffuser (every cat home needs one! ), scratching posts, food and water, multiple levels and places to sleep, and things to play with. Even now, the baby, as well as human visitors, are not allowed in this room. It is their safe space in our home. Once the baby arrived, I found it important to take special consideration to provide the cats with some predictable routine. We continued to feed them at the usual times and made sure to give them at least 5-10 minutes of individual play and affection at the same time each day. 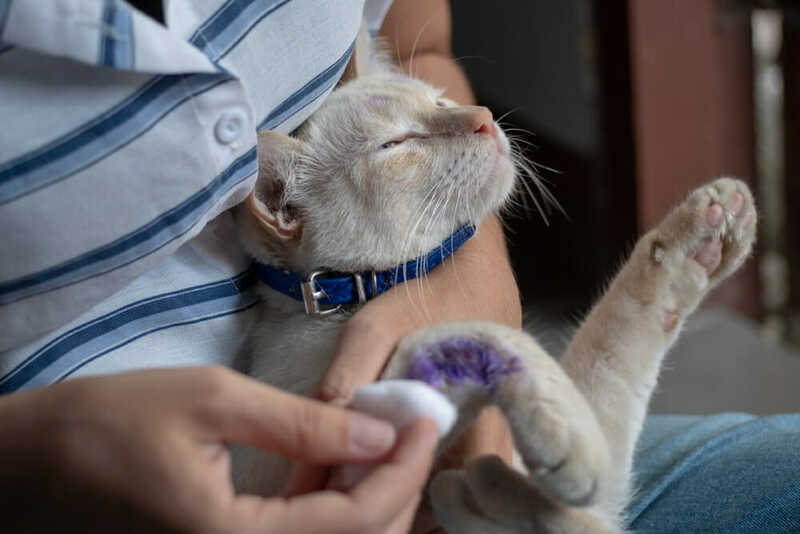 You have met all of your cats’ environmental needs and recognize the importance to be sensitive to their neophobia – is there anything else you can do to ‘take the edge off’? Yes. I am a firm believer in using a natural over the counter product called Zylkene. Zylkene is Alpha-S1 Tryptic Casein. You know when you drink a warm glass of milk before bed, and you get all warm and fuzzy inside? Zylkene is that in a capsule. The best way to administer it is by opening the capsule and sprinkling the powder on food or mixing it with a small amount of water. It’s similar in appearance and taste to powdered milk and cats are quite receptive to it! 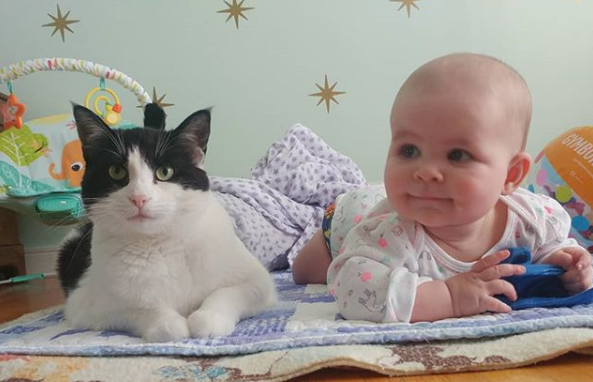 We started our cats on Zylkene a few weeks before the baby was due and continued with it daily until they were well adjusted. In addition to using it in this case, it is also great for cats with mild general anxiety or prior stressful events/changes in routine like travelling, hosting a party, renovations in the home, or family being away on vacation. 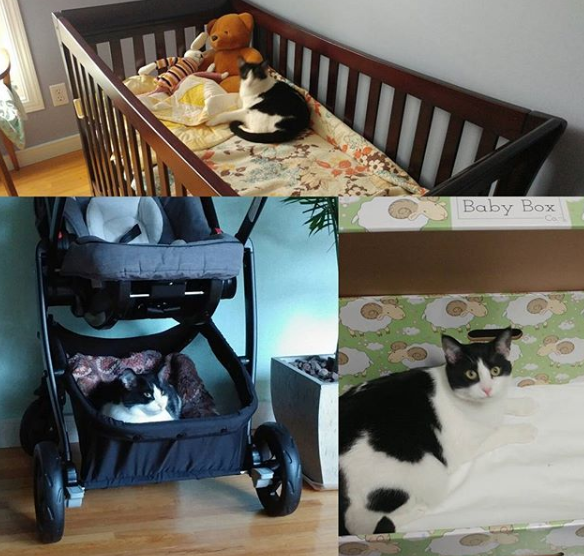 I have been wanting to share my experience with transitioning my cats to having a baby in their home for quite some time. I think the photo below speaks for itself and I am proud of the job that we did. I am hoping that this information will also help any of you who are expecting a new addition.